CEDAR HILL—It’s an event that continues to evolve just like the city where it takes place. Cedar Hill’s Country Day on the Hill marks its 79th year in 2016, but Alicia Zinn, who handles communications for the event, said the weekend still offers surprises. For one, a drum line competition, courtesy of several local high schools, will be a new attraction. A Cook Off will feature not only a Texas favorite; Chili, but also a Louisiana favorite, Gumbo. Attracting as many as 10,000 visitors, Zinn said Country Day on the Hill has continued to add events over the years. However, old favorites are still a draw. The Cedar Hill Parks & Recreation Parade, Little Miss Country Day Princess Pageant, 19th Annual Missions 5K Fun Run, Camp Bow-Wow Dog Show, various stages featuring entertainment, a petting zoo and the many local vendors selling their wares all contribute to the excitement. Friday night, October 7, is put aside for the Old Settlers Reunion bingo and a bean and cornbread dinner benefitting local charities. It’s the following day’s festivities that really attract the folks to town for the city’s biggest festival of the year. 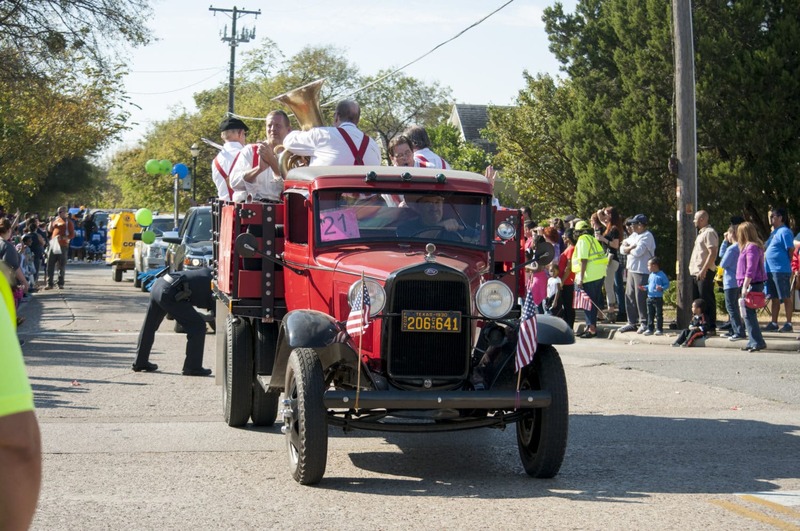 The parade begins on October 8 at Miss Jimmie’s Main Stage at 10 a.m. It then heads from Houston Street, turning toward Cedar Street for the parade finale. Country Day on the Hill began back in 1937, founded by a small group of Cedar Hill residents. The idea was to renew old friendships. It was initially called the Old Settlers Reunion. Later the event became part of the Cedar Hill Fire Department duties before eventually being taken over by the city’s Chamber of Commerce. Today, as Country Day on the Hill still continues to grow, it is under the supervision of a group of citizens called The Friends of Country Day, Inc. Zinn said all of the events will take place in Historic Downtown Cedar Hill from Texas Street to Cedar Street and from Main Street to Broad Street.